I'm about to start submitting queries for my book to agents, and I've run across something odd while researching agents. My book is an action-adventure thriller. I've found several agents who say they are looking for thrillers, and then, under the list of things they don't take, they say action-adventure. Are they referring something different than what I'm thinking or should I pass on submitting to the agent? Your book is a thriller. Leave off the action-adventure part. I'm not exactly sure what an action-adventure novel is but it sounds like what the boys read in the clubhouse behind the "no girlz" sign. When you describe where your book fits in a bookstore shelving scheme, you need one or two words at the MOST. Thriller is fine; cozy mystery; chick lit (NOT chic lit); self-help; SFF; are all examples. Anyone who uses three or more words or tells me they fit in chick lit, mystery, thriller AND true crime is an automatic no because it's clear they don't understand categories, and they don't know what they have. Don't worry about being wrong about the category. All I need is s a general idea of where this book fits so that if the character is named S'nark and lives in Rabbitania, I know you are writing true crime, not fantasy. I thought a thriller was automatically dark and scary, a race to prevent some terrible doom befalling innocent characters. Action-adventure, on the other hand, could be lighter, where the characters do exciting things in a quest for some prize. Just MHO. Maybe it's a distinction without a difference. I honestly think this whole deal with Rabbitania and how it keeps resurfacing is one of the funniest things ever. I'm a little confused on this. One agent that requested the first three chapters of my suspense novel wrote back: "Excellent writing here, but the market is loaded with thrillers similar to this one..." I really don't consider what I've written a "thriller". What *is* the difference between thrillers and suspense? Is there anyone who will help those of us who don't want to throw our family, non-writing careers, and volunteer work down the toilet so that we can spend every last morsel of our time and money becoming industry savvy? So: what’s the difference between a thriller and a suspense novel? Believe it or not, there is one—though it’s an ultra-thin line that’s blurred more often than not. Put your novel to the test to determine whether you should classify it as “thriller” or “suspense”. You know you’ve written a thriller when: Huge stakes hang in the balance for your protagonists or group of protagonists, who must stop some ghastly plot by your antagonist that threatens a great number of people, or even the very existence of humanity. Thrillers are often divided into sub-genres like medical thrillers (Robin Cook), military or technical thrillers (Tom Clancy) or legal thrillers (John Grisham). You know you’ve written a suspense novel when: Your protagonist is in terrible personal danger and fighting for his or her life against disproportionately high odds. Suspense novels are breathless page-turners that focus more on a pivotal character, but often include high-stakes elements of thrillers. Now you know whether you should call yourself a thriller author or a suspense author. If you’re still having trouble distinguishing between the two, take heart: most agents and publishers who work with your genre are amenable to something called a “suspense thriller” anyway. Snarkaholic, thanks so much for the info. Perhaps I have written a thriller. I always thought they had to include shootouts, car chases, and/or modern-day plagues of some sort. Hmmm. You're a wonderful friend. Can anyone explain the difference between romance, women's lit, and chick lit? Better yet, will anyone explain it to me? A romance novel focuses on one protagonist whose love life is the book's main plot thread. She may have to choose between two love interests or have a "come close/go away" relationship with just one until they end up together in the end. Example author: LaVyrle Spencer. Chick lit is a chick flick in written form. It follows a group of women and has other issues than just romance at stake, such as friendships or family relationships. 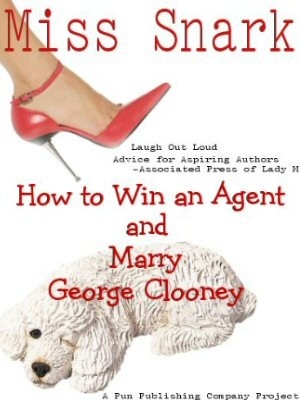 With chick lit or a chick flick, they want you to laugh, cry, form "ya ya sisterhood" clubs, and come away with the reaction, "Yes, this is what a contemporary woman's life is like." Example author: Terri McMillan. Women's fiction appeals to a female audience yet doesn't fall into the above categories. A historical that is not a romance, say. Or a literary novel. Or a mystery. Example author: Gail Godwin. Behind the "no girlz" sign is the "He-man woman haters club." Spankey and Alfalfa were the founders, the rest of us came along later...thank you very much! Has Miss Snark Lost Her Mind? What's the point of a partial?